Seventy years ago today, some 150,000 servicemen from Canada, the United Kingdom, the United States of America, and their allies undertook the largest seabourne invasion in history with the objective of securing a foothold in France and liberating Europe from the tyranny of Nazism. By some estimates, one in thirty of them would be dead within the day. Their mission, though, was a success, and is now the stuff of legend. 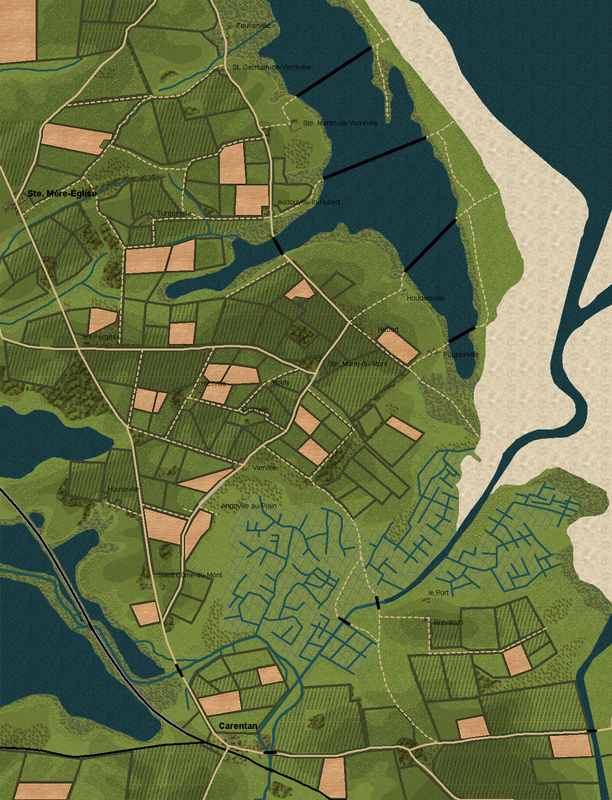 This scenario for Command Ops: Battles From the Bulge takes place during the early hours of D-Day as the 101st Airbourne division lands behind Utah beach to secure key objectives ahead of the main amphibious assault. It is a short and relatively small-scale scenario that puts the emphasis on efficiently achieving your objectives against the clock. 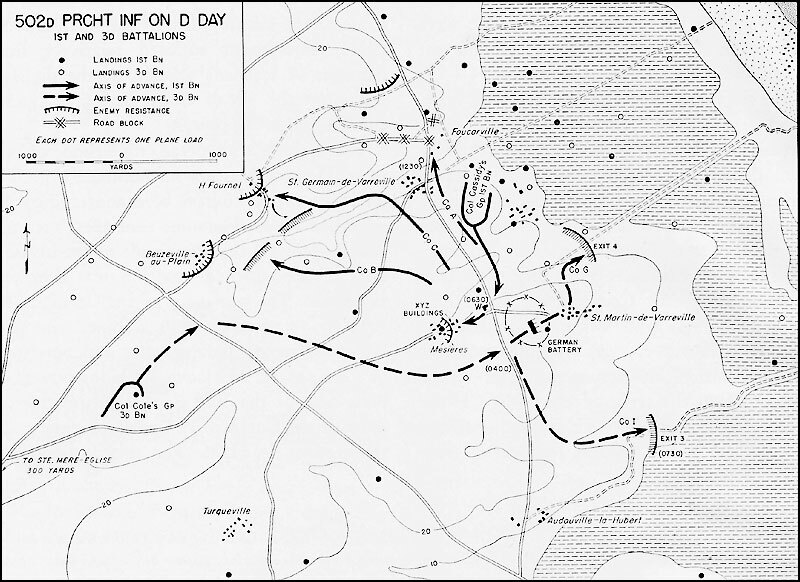 The order of battle for the German forces is based on information from here and here. 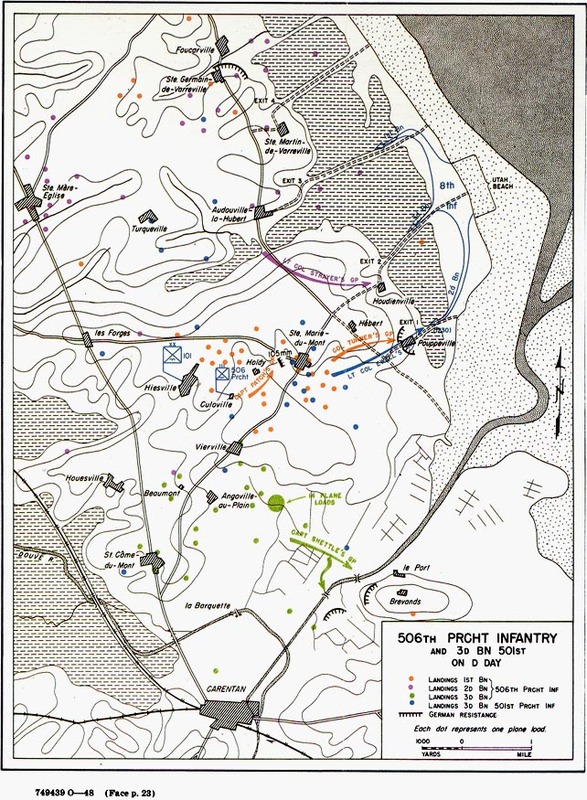 The American order of battle is drawn from information here (for the battalion level and above) and here (for the company level). 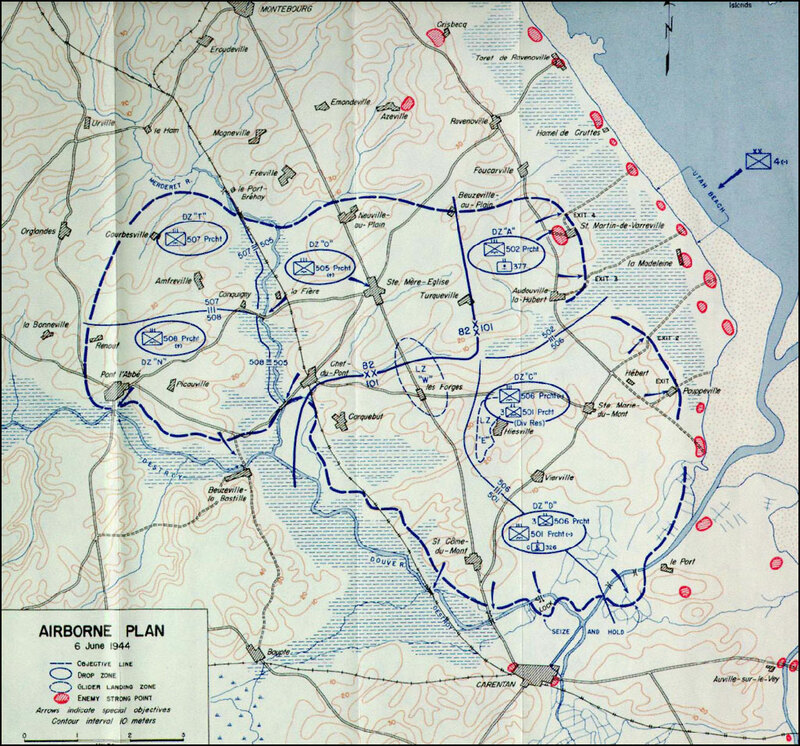 The times for arrival of U.S. paratroops is based on information here, whilst the landing zone locations follow the pattern in the first map below (which was also used to trace the map layout for the scenario). 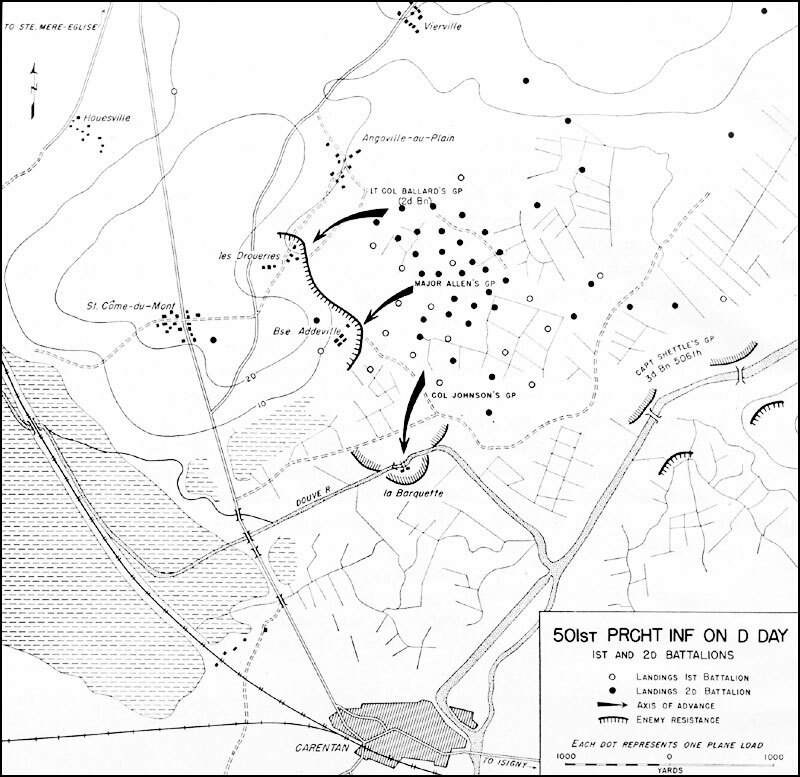 It’s harder to find good, concrete data on the German positions. I have taken my lead from the locations marked “German Resistance”, “Enemy Resistance”, and “Enemy Strong Point” in the below maps. The scenario can be downloaded here: https://www.mediafire.com/?44ynh9tjeiv065q. An older version is available here. This entry was posted in Command Ops and tagged map, mission. Bookmark the permalink.